Important Note: We recommend that you consult your physician and/or physical therapist before beginning any strengthening, exercise or PT / Rehab program at home. Let me take a moment to introduce myself. My name is Dave and I was the online guy for Recumbent Exercise & Fitness Bikes here at the Bicycle Man, LLC. Even more importantly though; since January of 2007 I have been (and continue to be) an Orthopedic Patient and Physical Therapy & Rehab Patient for injuries suffered to my knees and hips. And, since March 20, 2010 (the date of my heart attack and type II diabetes diagnosis) I got authorization from my cardiologist and my PCP to use the bike for cardio rehab and to help control my diabetes within the limits of my orthopedic abilities. So, not being a physician nor a physical therapist, the information stated here will be based on both; expert research and my own personal experiences. That being said, I want to tell you about the benefits of using a stationary indoor recumbent bike for your in home physical therapy and rehabilitation needs. When people say, “in home physical therapy” or “home care physical therapy” they are typically referring to patients that are homebound or otherwise unable to travel to an outpatient rehabilitation clinic. “In-home physical therapists” provide invaluable rehabilitation services to our friends and neighbors who are unable to travel to clinical facilities. The list of exercise and rehab equipment they bring to the patient’s homes is always growing. Some service providers are even utilizing RVs to bring the clinic to the patient and we are very grateful for these folks. I am referring to those among us who either need to have and/or desire to have ongoing and affordable physical therapy & rehabilitation in home. 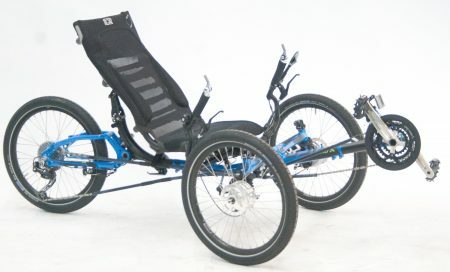 If your physician, physical therapist, or occupational therapist has approved your rehabilitation program plan to include some in home physical rehabilitation and exercise equipment ~ a recumbent stationary bike is a quality piece of fitness & rehab equipment to have and they can be found at a very affordable price. In fact, according to both experts and consumers – stationary recumbent exercise bikes are among the most comfortable, versatile and affordable pieces of exercise & fitness equipment. A Stationary Indoor Recumbent Exercise Bike with Magnetic Resistance is one of the Best Strengthening Exercise & Rehabilitation Equipment options available to help you convert a small space in your house or apartment into an in-home rehabilitation center. Perhaps the biggest advantage to recumbent stationary exercise bikes is that they are much more comfortable then upright bike models. Recumbent fitness & exercise bikes along with semi-recumbent exercise bikes that have a chair like seat with handlebars next to or slightly lower than the seat provide a more natural body position which is a big plus when considering the benefits of exercising in comfort toward your physical therapy, fitness & rehabilitation goals. There is a special section of the Arthritis Foundation website called “Let’s Move Together.” I found this article so encouraging that I wish to share a part of it with you. “I’ve lost 30 pounds, I don’t feel pain in my knees anymore and I am able to play golf again, which I couldn’t do when I was running,” he says. Fietsam, who has logged more than 100,000 miles, the equivalent of four times around the world, says his routine works well for him. He points out he can use the indoor bike year-round in his snowy Illinois hometown, he doesn’t have to dodge cars on the street and he can listen to the radio or watch TV during his rides. And Fietsam credits the cardiovascular benefits of cycling for giving him the stamina to continue working well into his 70s. Here’s the bottom line for me, and remember, I am a rehab patient myself and I have been diagnosed with arthritis since my injuries to both knees and hips. I know what it is like to have chronic pain. I know what it is like to do everything exactly as you were instructed and then to be in sincere pain in the following days. For me personally; the XTerra Fitness SB 540R Stationary Magnetic Recumbent Exercise Bike has not only been a welcome part of my in home physical therapy program – it has been a great blessing to me personally as I try to make long lasting therapeutic changes in my affected joints & muscles as well as helping my overall health & fitness. I will provide links to more details about the XTerra Fitness SB540R further down the page. You can use those links to learn more about the bike’s specs, features and benefits. My first orthopedic surgeon told me to “No upright bikes.” Then later told me that a recumbent bike in moderation would be fine. 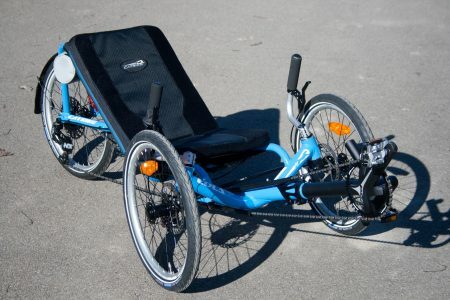 Reasons; less weight transferred to knees & hips during the workout and because there was something going on with the nerve in my left hip/pelvic region the recumbent would allow me to open the hip angle as I rode. 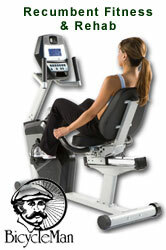 The recumbent helped me to strengthen the muscles around the knees and hip with less joint impact. I started by demo riding a LeMond G-Force RT – a great bike, just way out of my price range and it got to be too much for me and the doctor said stop riding. I had surgery on the right knee that removed damaged meniscus and major debridement. Began PT just a couple of days after the surgery and after a few sessions we tried an upright bike which was difficult for me and by the end of the session I left cursing the bike (mentally). The next session we did different additional exercises and I requested the recumbent vs. the upright – the result was I left the rehab center with significantly less pain. That’s when I became a believer in the recumbent stationary bike for my PT & rehab and it is so stable I don’t need to waste any energy trying to balance – Very Safe. I began to demo ride the SB540R in the fourth week of January 2010. At first, I was not utilizing the program and resistance adjustments very well. Then after I began to notice how one day a resistance level of “X” caused me pain (either right away or in the following days) I decided I better familiarize myself with the console and the multitude of magnetic resistance settings available so that I could make the adjustments based on how my knees and hips felt that particular day. I am very glad I did learn to use the console more effectively to adjust the time, resistance level, etc. By doing so, I reduced my pain level and increased both the comfort and distance thus adding to the therapeutic benefits of my PT & rehab efforts. Another thing I learned along the way was that the speed (both MPH and RPMs) at which I ride also makes a huge difference. Now this may sound very silly to some people; but for those of you who understand what I mean when I say, “I have my good days and I have my bad days.” this little tip becomes a gem of great value. and using the settings on the console I set each segment of my ride between a resistance level as low as 5 with a peak of around 13. On a good day ~ I press User 1 to bring up that saved profile, press start and I am on my way. At the end of the workout it provides me with a summary of the workout and I notice my average RPMs was 36 rpm and my average speed was 9.5 mph. Great, I note it and go about my day. Let’s say the next day is a bad day ~ I press User 1 to bring up that saved profile, press start and I am on my way. But this time I haven’t even completed a full lap (1/4 mile) and my knees & hips are nagging me. I don’t have to stop riding, give up or quit. I can simply reduce the speed & RPMs at which I am pedaling and finish the lap focusing on my posture, leg alignment and listen to what my joints are telling me. If my joints are saying, “Much better – Thanks.” I can continue my ride in comfort. Now at the end of the workout it provides me with a summary of the workout and I notice my averages were 28 rpms and my average speed was 6.7 mph. Fantastic! I listened to what my body was telling me, I didn’t quit – I continued my workout and by not pushing myself too hard – I won’t pay for it later. This, my friends is an enormous success! I listened to my joints and my body – avoiding aggravating my injuries. I didn’t have to stop or quit my pt & rehab efforts for the day. We both know that by not using our muscles can result in a slight loss of function every day – and that’s particularly bad for someone trying to recover from injuries or health conditions like arthritis in a joint. 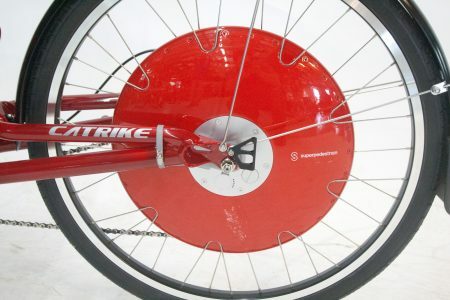 By reducing my speed and the rpm’s I was able to enjoy the engineering behind the bike’s resistance level changes (which, by the way is extremely smooth because of the magnetic eddy current braking) and still enjoy the therapeutic benefits of recumbent cycling in comfort. This is also of great benefit to me fighting the affects of arthritis. You’ll understand when I say there are great benefits in being able to complete your exercises beyond the physical benefits… it is mentally, emotionally and spiritually uplifting and very encouraging. My wife has been diagnosed with Osteoarthritis or OA of the neck. OA is the most common joint disorder and if you suffer from this condition you likely know that OA of the neck is not isolated to the neck itself. Its effect also impair the use of your shoulders, arms and hands to some degree or another. Joint pain that gets worse after exercising or putting weight on the affected area. Tall order for physiotherapy treatment but aside from the targeted exercises she needs to perform here is where the recumbent exercise bike benefits help her with her overall health & fitness without aggravating the affected areas. Unlike an Upright bike which transfers weight to the back, neck, shoulders, arms, wrists and hands – The recumbent exercise bike allows the rider to sit in a slightly reclined position with the back, neck, shoulders, arms, wrists and hands in a more normal body alignment reducing the pain and discomfort on those affected areas and joints. The Benefits of Recumbent Cycling for Rehab and PT? My wife can ride the recumbent exercise bike to improve her overall health and fitness without aggravating her arthritis. Because her position while riding the stationary recumbent exercise bike puts her head, neck, back, shoulders, arms, wrists and hands in a more natural body alignment without transferring weight to those areas she can ride in comfort and achieve her fitness and therapeutic goals. Fact: A stationary indoor magnetic recumbent exercise and fitness bike has a great number of benefits toward your home rehab and PT program. higher physical therapy program compliance. better compliance could well mean less chance of relapse. better attendance – you are already home. for me, I have more control and more motivation which means I am more involved in my physical therapy – very liberating & very motivating. for me, this means I have a greater role and participation in the therapy and rehab program which means I have greater ‘ownership’ of my physiotherapy plan. 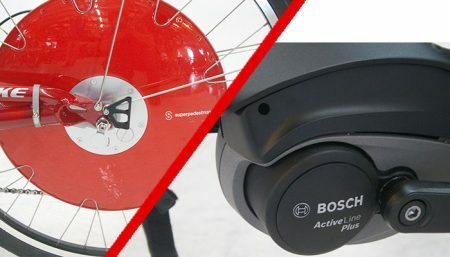 Frequency and duration – Having the recumbent rehab & fitness bike in the home allows you to choose the frequency of your rehabilitation rides and the duration of the rides (following your physicians orders of course). which is a very convenient and beneficial point to consider. A side note on this: I was very disturbed to learn of the vast number of patients who are allowed surgery by their insurance carriers but NOT ALLOWED PT or REHAB by those same insurance carriers! This is beyond my understanding. I won’t rant here, but I will say I think this manner of handling an individuals health care is unconscionable. If you are among those who are not covered for post operative PT & Rehab – an in-home rehab program is definitely worth both investigating and pursuing with due haste. In Home Rehab is frankly a more realistic option for many patients – especially when travel, weather, time or other obstacles prevent good attendance at traditional outpatient clinic-based physical therapy locations. I hope that I have covered the finer points of consideration toward using a stationary recumbent bike for home based physical therapy and rehab. Here are some links to the other points to consider when you are trying to find the best possible options for home physical therapy and rehabilitation fitness equipment. If you are looking for Fitness Club and Gym quality recumbent exercise bikes at an affordable price – the XTerra Fitness SB540R is a BEST VALUE in its class with features and benefits typically found only on ‘high end’ recumbent exercise equipment. With your heel on the pedal your leg should be straight or a bit over extended. Then you pedal with the ball of your foot on the pedal and there is a bit of flex left in your knee. Pain in the front of your knee usually means too much leg bend. Pain in the back (rare) usually means to little bend.